The Rolling Tower Sys-Fast permits many options of use owing to its high performance. The Sys-Fast system is specifically designed for formwork and unloading pillars. 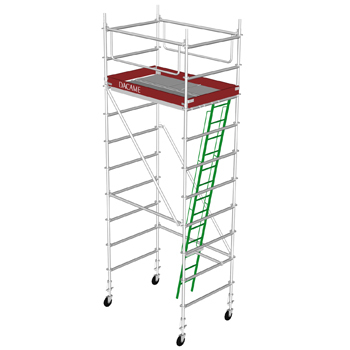 It is designed for work at a maximum height of 6m, although its components are adaptable to special requirements. The Rolling Tower SYS-FAST 48 is manufactured according to the European Standard EN 1004, it dispose of manuals according to the European Standard EN 1298.